Jill’s love for the practice of law shows through in her work and fearless approach to litigation. During law school, she was actively involved in trial advocacy programs, winning mock trial competitions and receiving first place for her moot court oral argument. She started on her path by fighting for the rights of the accused as an intern at the Washtenaw County Public Defender’s Office in Ann Arbor, Michigan. Courtroom litigation and criminal defense became her focus as her legal career progressed. 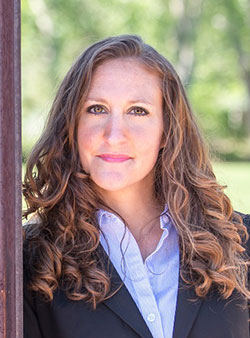 Jill entered private practice as an associate and gained a vast amount of experience in criminal defense cases from major felonies (i.e., sexual assault, attempted murder, and arson) to traffic and petty offenses (i.e., disorderly conduct, DMV issues, and speeding tickets). The National Trial Lawyers Awarded Jill with the Top 100 Trial Attorney recognition and the Top 40 under 40 Trial Attorney Award. In 2016, the American Institute of Criminal Lawyers awarded her with the 10 Best Female Attorneys award. She is also certified in DUI SFST Standardized Field Sobriety Detection. Jill started the Law Office of Jill M. Jackson because she believes that clients come first. Each client has different goals, with needs specific to their case. Jill works tirelessly on behalf of her clients. She has the knowledge and experience to guide clients through the legal process and put their life back on track. Contact Jill M. Jackson at our criminal law firm if you need help with DUI charges, a DWI arrest, drug penalties, personal injury, or other criminal charges. Request your consultation today. Finding the right attorney to represent your case can be tough. 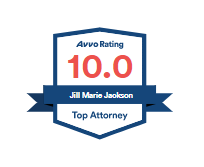 Give Law Office of Jill M Jackson a call at 303-818-7209. We will provide you a no-obligation consultation to answer any questions you may have about or firm or the help we provide.